How Important Are Interviews Anyways? My post about TEFL interviews and demo lessons is one of my most popular to date, but exactly how important are interviews really? Some people will say that they're not that important and in a way I agree. Networking (ie wasta or guanxi) and being recommended for a job can work wonders. I also believe that employers have a good idea about who they want to hire before the interview takes place. Although, due to logistics they have to interview people that they may not want to hire. Their top picks may take a job elsewhere or turn out to be crazy. I personally think that interviews are important, but not the end-all to getting a job. This doesn't mean that you should walk into an interview without any prep. 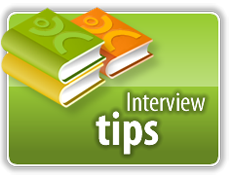 There are a ton of good books about interviewing tips. If you haven't read any books on how to ace an interview, I highly recommend doing so.